In a world that has come to rely so heavily on the internet, many shoppers now prefer making most of their purchases online rather than in store. The convenience of not even to get dressed or leave home to drive anywhere make this such an appealing option for many. For some purchases, online can even be a better experience, not having to deal with crowded malls or stores. However, for some larger purchases, there are still benefits of going to an actual brick and mortar stores. When it comes to mattress shopping, it is beneficial to make this type of purchase in store for several reasons. The first reason to do your mattress shopping in person instead of online is for the simple fact that you’ll get to try it out. When shopping online, you’ll have to rely on looks and other people’s reviews to determine the comfort of it. But without laying on it, how would you know if you like springs or memory foam? Soft or firm? In a store, you can lie down, and decide for yourself if it gives a proper amount of support. Change positions a few times as you would at night, making sure you feel it is all around the best fit. And if the first one you lay on isn’t the right fit for you, there’s plenty more to choose from! It’s not every day that you go out and buy a new bed. In fact, you may have only done it once or twice so far in your lifetime. Therefore, you’re not expected to be an expert… That’s what the salespeople are for! If you don’t know exactly what you’re looking for, they can help to find the bed that will best suit your needs and walk you through the selection process. 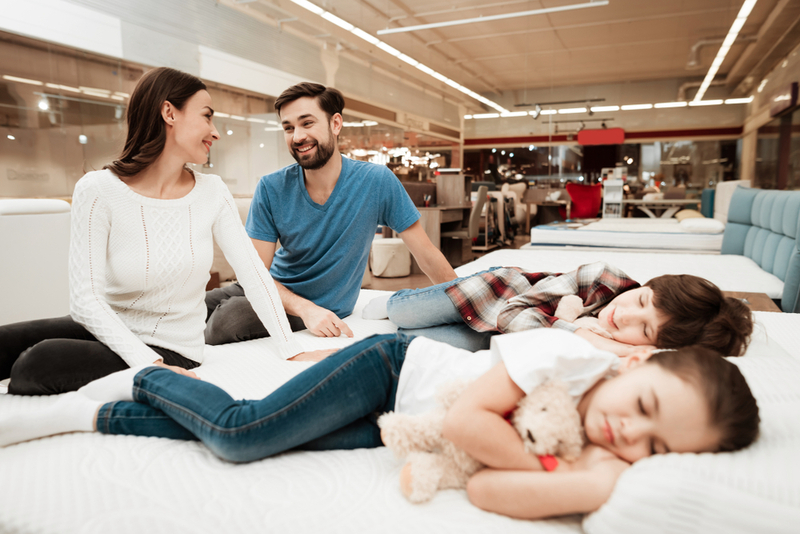 Shopping in a mattress store gives you full access to the professionals guiding you in the right direction, and making your experience a little easier. If you’re ready for a new mattress, let the experts at Siesta Sleepworks help! Stop by our store in Acton MA to try out our line of Tempur-Pedic, Beautyrest, icomfort, and more. We guarantee you’ll find something so comfortable, you may never want to get out of bed!